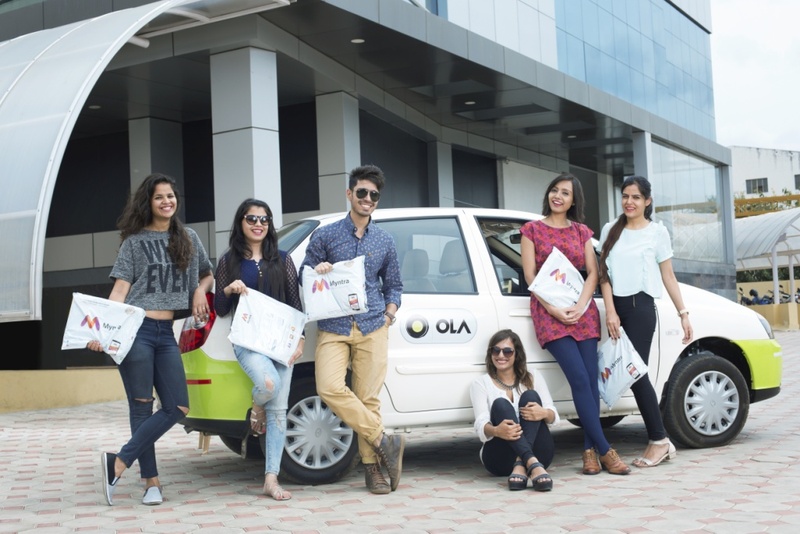 Bangalore, July 30, 2015: In a bid to turn the fashion heat up a few notches this season,Ola, India’s leading mobile app for personal transportation and Myntra, India’s leading fashion destination have joined hands to offer a free makeover curated by personal style advisors to users of the Ola app. Ola and Myntra will flag off ‘LookGood Express’–dedicated cabs from Ola, armed with all goodies to offer a complete makeover to customers across Bangalore, Mumbai, Hyderabad, Chennai and Kolkata on August 2nd. Users can request a free makeover at their doorstep, just like they would request a cab, by clicking on the ‘LookGood’ icon that will be live on Ola’s app between 11 AM and 4.30 PM on August 2nd. The LookGood Express will have a personal style advisor from Myntra who will call customers up and gather relevant styling details required to design a cool new look for them, once they get arequestthrough the Ola app. On reaching the customer’s destination, the style advisor will assemble and hand over a personalized goodie bag with trendy apparels and accessories from Myntra andadditionally share personalized fashion tips to enhance the customer’s new look. This first of its kind activity aims to delight fashion lovers across these cities and offers them a chance to experience personalized fashion with one touch! Founded in Jan 2011 by IIT Bombay alumni BhavishAggarwal and AnkitBhati, Ola (formerly Olacabs), is India’s most popular mobile app for personal transportation. Ola integrates city transportation for customers and driver partners onto a mobile technology platform ensuring convenient, transparent and quick service fulfilment. Ola is committed to its mission of building mobility for a billion people. Using the Ola mobile app, users across 100+ cities can book from over 200,000 vehicles, including cabs, auto-rickshaws and Kaali-Peeli taxis in Mumbai. The app is available on Windows, Android and iOS platforms. Ola recently acquired TaxiForSure, India’s second largest cab aggregator, which continues to operate as an independent brand. Please visit www.olacabs.com for more information. Myntra is among the leading e-commerce platforms in India for fashion and lifestyle products. Myntra has partnered with over 1,300 leading fashion and lifestyle brands in the country such as Nike, Adidas, Puma, Lee, Levis, Wrangler, Arrow, Jealous 21, Diesel, CAT, Timberland, US Polo, FabIndia, Biba and many more to offer a wide range in latest branded fashion and lifestyle wear. The platform receives over 90 million visits every month and services over 12,000 pin codes across the country. With the largest in-season product catalogue, 100% authentic products, Cash on Delivery and 30-day Exchange/Return policy, Myntra is today the preferred shopping destination in India.